Colorado's tablet program foreshadows a potential new paradigm in corrections, shifting numerous communications, educational, and recreational functions to a for-profit contractor; and making incarcerated people and their families pay for services that are commonly funded by the state. In 2010, Apple made waves when it introduced the iPad. Over the last seven years, consumers have been busy trying out ever-more-powerful mobile devices; meanwhile, correctional facilities have been quietly experimenting with letting incarcerated people use limited-function electronic tablets inside prisons and jails. Correctional administrators are often resistant to change, but after a few tentative forays, some prison systems are beginning to adopt tablet programs on a larger scale. A recent Denver Post article reports that the Colorado state prison system has awarded a contract to prison communications giant GTL (formerly Global Tel*Link) for a tablet program that will eventually be deployed in all the state’s prisons. The Colorado Department of Corrections (DOC) is somewhat of an early adopter of emerging communications technology. For several years it has offered electronic messaging, an email-like service that allows people in prison to send and receive messages using a proprietary, fee-based platform operated by a contractor. Colorado DOC’s electronic messaging program isn’t perfect, but its rollout was notable for giving people a new communication option. 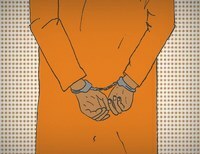 The tablet program, on the other hand, foreshadows a potential new paradigm in corrections, shifting numerous communications, educational, and recreational functions to a for-profit contractor; and, at the same time, making incarcerated people and their families pay for services, some of which are now commonly funded by the state. What makes the Colorado/GTL contract especially frustrating is that it could have been an innovative step toward providing incarcerated people with useful technology. Experts who have studied government technology contracting warn that projects often fail because details are not sufficiently thought through. The Colorado DOC seems to have walked down this familiar path by focusing largely on its own financial interest without giving much thought to the user experience or the financial impact on incarcerated people and their families. In broad brushstrokes, the GTL contract works like this: GTL installs wifi networks in all Colorado prisons, and provides enough tablets so that each person in the DOC system can have one. The tablet itself is free, but using it is generally not.1 Tablets can be used to make phone calls, send electronic messages (similar to email, but with fewer features), play games, or listen to music — all for a price. Even worse, GTL has the power to unilaterally change most customer prices at any time for any reason. Although the Colorado contract locks in phone rates, all other charges are subject to change at GTL’s discretion. GTL’s website allows loved ones to pay for services that an incarcerated child or spouse may need, but it doesn’t give family members any meaningful details about the service they are paying for (among other things, this means that a family member who has questions about what they are paying for, or wants to help an incarcerated love one troubleshoot technical problems is unable to do so). Because of GTL’s parsimonious release of information, there are plenty of questions about how the tablets work, and not a lot of readily available answers. Nonetheless, a few observations are possible just based on the limited information available. As for games, it isn’t clear why DOC allowed GTL to offer these only by subscription when outright purchase could make more economic sense for customers. Of course, most popular games are downloadable for free; but this model depends on advertising revenue and may well be unworkable in a prison environment. Even so, most app games available for purchase are priced between $1.50 and $8, which makes GTL’s $5-15 per month pricing seem exploitative. As an example, for two months’ of subscription fees (at $15/month) one could simply buy the eight most popular paid games in the Google app store. Finally, the pricing for electronic messaging doesn’t make sense — the contract sets rates at 49¢ (the cost of a first-class stamp), and specifies that prices will automatically increase whenever postage goes up. As we discussed in our report on electronic messaging, tying prices to postage rates has no economic basis. Parity with first-class postage is clearly an attempt by GTL to frame itself as a cost-neutral equivalent to mail, even though there are numerous reasons why mail is often a better communications channel for incarcerated people. Some have already suggested that tablets can completely supplant postal mail. The Denver Post published a shortsighted editorial making just such an argument. This is a dangerous line of thinking. Not only is postal mail a critical tool for people who lack computer skills or internet access, but people often use mail to maintain human connections in innumerable ways that cannot work in the stripped-down, inflexible environment of GTL’s electronic messaging platform.9 A no-mail policy would stamp out such everyday human connections as a handwritten note from a parent, or a loving scribble from a child. Moreover, publications of numerous types and formats (magazines, catalogs, tax forms and instructions, newspaper clippings, greeting cards)10 can easily be sent through the mail but cannot be accommodated by plaintext messaging systems. GTL has been quick to emphasize the potential of tablets to provide access to educational programming. But the fine print in the Colorado/GTL contract provides some interesting insight into how this might work. The original contract required GTL to “supply educational content … that is generally suitable for the inmate population based on industry standards … except, however, Company shall not be required, and [Colorado DOC] shall assume, any cost of delivering such content to inmates that exceeds in any year a retail value of $500,000.”11 This awkwardly written provision seems to anticipate that GTL would provide up to $500,000 worth of educational content per year. But, since the very same paragraph specifies that all “content shall be provided on subscription bases,” it appears that GTL would recoup the costs of this content through subscription fees. Education in prison has historically been viewed as a public service that helps prepare people for reentry and assists in the management of a safe facility. It is also part of the social contract; so much so that the Colorado legislature created a prison education program in 1990, declaring that education’s role in reducing recidivism was critical enough that the state should adequately fund literacy, cognitive, and vocational education programs.15 The structure of the Colorado/GTL contract suggests that the DOC is ready to discard the public-service model of education that utilizes in-person instruction, opting instead for a technology-driven, user-funded model that dispenses knowledge from a screen and leaves students to fend for themselves. Other companies have gone further and argued that prisons should eliminate libraries in favor of offering ebooks via tablets (for a fee, of course). Although the Colorado/GTL contract spells out pricing for incarcerated customers, these provisions are somewhat hollow because GTL can unilaterally change prices (other than phone rates) at any time. The real meat of the contract is in the parts that specify what GTL is promising to provide. The answer: not as much as one might expect. GTL is contractually obligated to provide enough tablets so that every person incarcerated in the DOC should get one. But what happens when tablets stop working? As anyone who owns a smart phone or iPad knows, devices often develop problems. Add in the unfriendly prison environment, and high failure rates are virtually certain.16 So, did Colorado DOC negotiate a carefully structured contract that ensures people will have reliable hardware to access the services they so dearly pay for? No. Based on data from the free world, GTL’s expectations about failure rates seem overly optimistic. A 2012 report found that 10% of second-generation iPads failed in the first twelve months after purchase. A more recent report from February 2017 that looked at all mobile devices (tablets and phones) concluded that Apple devices had an overall failure rate (across models) of 62%, while Android devices failed at a rate of 47%.22 Of course, GTL isn’t using iPads or Android tablets, but rather is using a proprietary product called “Inspire,” which it designed itself. Given that GTL presumably has less robust and sophisticated engineering resources than Apple, it seems likely that a failure rate of less than 5% is not realistic. Another disappointingly one-sided provision in the Colorado-GTL contract allows GTL to back out of the contract if it doesn’t make as much money as it hopes to. Specifically, “if there is insufficient revenue to warrant the continuation” of the tablet service at any given prison, then GTL can cancel service at that facility. This structure is troubling for a number of reasons. First, it sets up the possibility some prisons would have tablet services and others wouldn’t — creating a patchwork of inequality within the DOC system. Also, because DOC stands to gain from the tablet program (both in terms of the annual payment it receives and having a new incentive to use while “managing” incarcerated populations), it’s not hard to envision situations in which DOC actively works to increase GTL’s revenue: Are game subscriptions down? Cut down on recreation time. Not enough revenue from vocational education videos? Eliminate in-person classes. The tablet program is one component of a multi-part contract between GTL and Colorado DOC that covers phone service, tablets, video visitation, and money transfers. As with most contracts that grant a monopoly for goods or services marketed to incarcerated people, the Colorado/GTL bundled-services contract creates a steady revenue stream and then divides it between the DOC and the contractor. Prison telecom contracts have long been criticized because of the sizeable kickbacks given to prison systems in the form of a “commission” on revenue collected by the telecom provider. The Colorado/GTL contract provides a monetary reward to the DOC, but it is not framed as a percentage of revenue; instead, GTL agrees to pay the DOC a flat payment of $800,000 per year.23 The payment amount is subject to annual renegotiation. Interestingly, in 2015, the Colorado legislature passed a law that prohibits the DOC from receiving phone commissions “except as much as is necessary to pay for calling costs and the direct and indirect costs incurred by the department in managing the calling system.”24 Because the law only covers phone service — and the GTL contract encompasses non-phone services like tablets — it’s difficult to tell whether the $800,000 payment complies with the legislature’s directive. The contract specifies that in exchange for the $800,000 annual payment, GTL “shall have the exclusive right to collect and retain all revenue generated from the services supplied through this Agreement.” Those revenues are generated through a variety of fees levied on people who can least afford them. The user fees are troublesome not just because they are higher than comparable services in the free world, but also because of the predatory nature of the system. One of the most common complaints about life in prison is the overwhelming boredom. Thus, selling entertainment to incarcerated people is somewhat like selling food to hungry airplane passengers: there’s one source, and the provider can charge what it wants, regardless of quality. Captive customers desperate to fight monotony will be more willing to pay GTL’s inflated prices. But realistically, most people in prison lack the requisite funds because incarcerated people have disproportionately low incomes and they are not adequately compensated for their in-prison labor. Thus, the simple fact of the matter is that family members (who themselves are more likely to be low income) will end up footing the bill, adding to the financial stress of a population that is already stigmatized merely by virtue of association. In one important respect, prison telecom vendors have more power than an airline selling in-flight meals. At least so far, airlines haven’t figured out a way to prevent passengers from bringing their own food. In contrast, GTL can partner with the Colorado DOC (who — remember — is receiving a cut of the profits) to prohibit other lower-cost alternatives. For example, if revenues from electronic messaging are too low, DOC could ban postal mail. Not enough music subscriptions? DOC could prohibit incarcerated people from owning radios. Just because the DOC hasn’t taken these steps yet does not mean it won’t in the future. If the tablets prove to be popular, they could start to be viewed (either by incarcerated people or prison staff) as a quasi-necessity. In such a scenario, GTL will have considerable leverage because the contract provides GTL with numerous ways to pull out of the deal. The economics of the Colorado/GTL contract are about more than who reaps the profits. It’s also important to consider the basic mechanics of how incarcerated people and their families pay for the games and music hawked by GTL. Not only do families end up paying for tablet services, but they also fork over additional money just to pay GTL. GTL’s pay to pay system is needlessly complicated and seem to be intentionally designed to deprive relatives of what meager consumer protections may be available. Specifically, GTL is downplaying the availability of trust fund transfers in favor of advertising its own prepaid service options. The menu shown above curiously omits one financial service: trust fund deposits, a money transfer service that is also facilitated by GTL, under a contract with Colorado DOC. Making a trust fund deposit isn’t free (it’s subject to fees that are roughly comparable to those charged for GTL’s “Debit Link” program), but in some ways it provides more protections for customers. First of all, if a mother sends her son money through a trust fund deposit, the son basically gets the same thing: money (or, more precisely, the ability to draw on money in an account held by the state). The son can then use the trust fund money to pay for phone calls or music subscriptions. Or, if he has more pressing needs, he could use the money to pay medical copays or buy toothpaste at the commissary. If he needs something that isn’t sold by the commissary, he may be able to purchase it from an outside mail order vendor by requesting a money order. 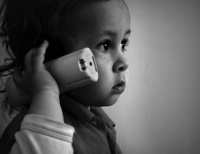 On the other hand, if mom prepays for phone calls or buys “Link Units,” then her son can only use the money for that narrowly designated purpose — if she buys $10 worth of Link Units and her son then needs to make a $10 phone call or pay for a doctor’s visit, she’ll have to send more money. Another important distinction between the various types of payment channels is refund provisions. Trust funds can be withdrawn at any time, and are refunded upon someone’s release from prison. In contrast, prepaid services are subject to a complicated patchwork of rules. Money spent on prepaid phone calls is refundable only upon the incarcerated customer’s release. Link Units are especially confusing: if mom buys Link Units directly for her son, that money is never refundable. But if mom sends money to her son’s trust fund account, and he uses that money to buy Link Units, then the unused credits are refundable upon his release. These important details are never clearly explained on GTL’s website25 (and remember that the trust fund transfer feature is difficult to find). 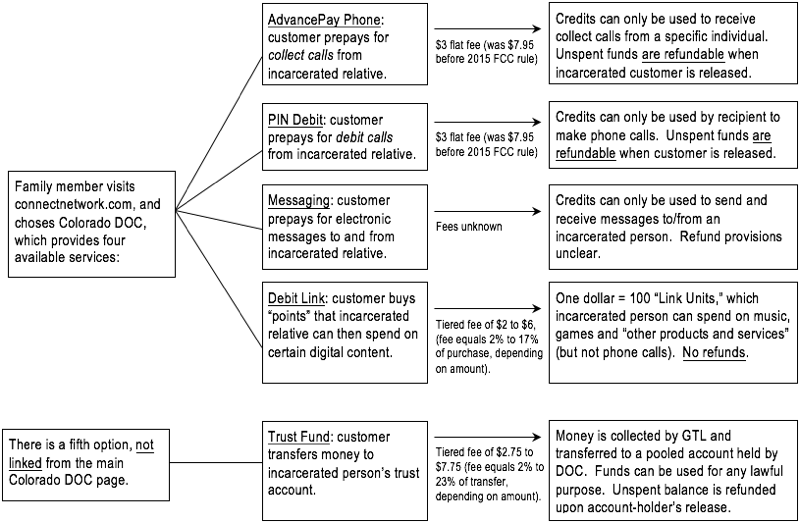 The following diagram shows the maze of fees and policies that family members are faced with if they want to financially help their loved ones in Colorado’s prison system. Many of the options available to people who want to send money to loved ones in Colorado prisons limit the ways funds can be used, and may not provide refunds of unused credits upon release. 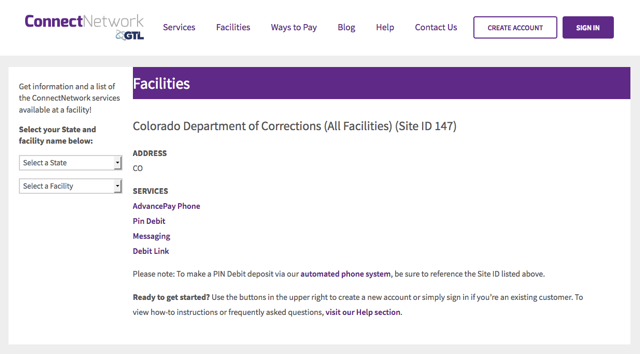 GTL’s main Colorado DOC page points visitors toward prepaid services and does not even list trust fund deposits, which are refundable and offer incarcerated people the most flexibility. Pennsylvania uses GTL’s tablet system, although the features available there seem limited to electronic messaging and music (users must also pay $147 per tablet). South Dakota has selected GTL to roll out tablets later this year. Indiana has accepted bids for a tablet system in its prison system, and hopes to award a contract later this year. The Alabama prison system may be soliciting bids later this year. In addition, several larger jails also offer tablets. GTL is not the only company in this market. One of GTL’s competitors, JPay (now a subsidiary of Securus Technologies) claims to have tablet service in nine state prison systems.32 JPay’s tablets appear to be smaller and have less functions than GTL’s, although they both use similar fee-based models to charge for content. When the Indiana DOC held a meeting for interested bidders, eleven companies attended (although it’s not clear how many of those companies ended up submitting proposals). It is also unclear how prison staff, incarcerated people, family members, and the general public will respond to new technologies like GTL’s tablets. Most prisoners feel this is fantastic. . . What they don’t see is that the system just issued a $50 babysitter to all of its prisoners. The average prisoner will play games and music 8-10 hours a day, just like any kid in America. Only they aren’t kids; they are men and women who need rehabilitation and education. This buys a lot of safety for prison staff, but what a waste of time for the prisoners. If they provided education, it would be marvelous. Prisoners might just learn something useful and not come back. Coming from someone with firsthand knowledge of the situation, this description hits all the main points—the tablets serve as a “population management” tool for prison administrators, financially burden incarcerated people, and are a poor substitute for genuine educational opportunities. Historically, people in prison have communicated with the outside world using tools that were simultaneously specialized and universal. Specialized in the sense that letters and phone calls were subject to restrictions and monitoring for security. Universal in the sense that the actual communications networks were the same ones used by the population at large — namely the nation’s mail system and the network of Bell telephone companies. These networks charged reasonable, regulated rates for universal service.35 Emerging technologies for prison communication are taking a decidedly different approach: instead of applying security protocols to a general purpose network, prisons are relying on specialized providers that use proprietary systems and charge user fees far in excess of cost. The profits of this model are then divided among the prison systems and the private equity firms that own the providers. New technologies have the potential to help incarcerated people. But the ways in which such systems are being implemented tend to focus on profits over people. The Colorado/GTL contract provides other jurisdictions with a case study in how new technologies can be implemented in ways that financially exploit incarcerated people and their support networks. Other jurisdictions should view the Colorado experience with caution, and strive to develop better, more humane models for bringing prison communications into the twenty-first century. The email service in PA is a mess. Although messages cost 25cts “only”, you only get 2000 characters (not words! spaces count as characters!) for that price. And messages take between a few hours and more than a week to arrive (in both ways), and rarely arrive in chronological order. So you never know how long it will take for a message to be received. It also happens frequently that you are thrown out of your account for no apparent reason, while in the midst of writing a message. This message is then lost of course and you can restart to write your message. Sometimes you can’t access your account at all. One more comment to the song download option in PA’s prisons. Not only is the cost of these songs much too high, prisoners have also seen their paid-for and downloaded songs erased by the DOC, because they were not “approved”. And they didn’t get any refund for the removed songs. Why do they offer songs that are not approved in the first place? Of course, these songs are not labelled as “not approved” and therefore you download everything at your own risk. This is appalling. Are the differences in service/product prices for offenders as compared to beyond bars similar services/products due to the fact that the tablet is free to the offender and that investment has to be recouped? On the outside, these products/services assume you own the hardware to run them on. What about security. How are these services being monitored when used by the offenders and who is paying for that? Is that component also something that has to be paid for indirectly by the offender when they buy the products and services? On the outside, security is not an issue and so it does not have to be paid for. I do not know the answers, but just wanted to ask the questions. Gouging prisoners for profit is certainly terrible. These companies effectively have a monopoly on the inmates themselves within each facility. How would you make it work the ‘right’ way?